The digital knowledge repository of National University of Public Service with searchable content and freely accessible complete works. The fundamental terms with their descriptions and correlations, which form the basis of the science of public administration, are made avaiable in the online lexicon accessible to the public. 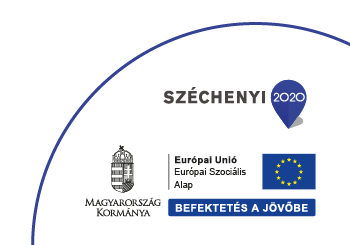 Digital data collection and application created through the cooperation between Eötvös Loránd University (ELU) and National University of Public Service (NUPS), which contains the intelectual heritage of Zoltán Magyary. Digital data collection created through the cooperation between the National Archives of Hungary and National University of Public Service containing data on all the bodies and units which have been established after December 21, 1944. By subscribing to information content indispensable to scientific research and highter education, the University provides its citizens access to relevant Hungarian and international sources enabling research to produce valuable, new knowledge, and supporting education with relevant, quality literature. The publisher’s 9 Hungarian and 38 English journals with full text are available in the database which is multidisciplinary. The online service makes available fresh content and numerous indispensable reference works that are either out-of-print or hard to come in print. In the package of Akadémiai Kiadó beside the Hungarian Medical Journal you can read the full text of three periodical and six archives (ceased). It consists the Medical Literature Search Application which is a website that helps to get a line on medical specialisation. ADT is the biggest online collection of 19th-20th century Hungaricums, an important source of Hungarian cultural, social and economic histrory. The biggest part of the collection consists publications from the 20th century but 19th century texts and some 21st century texts can be found as well. Among the monolingual dictionaries you can find the twelfth edition of the Rules of Hungarian Orthography, the Dictionary of Foreign Words and Expressions, the Concise Dictionary of the Hungarian Language and the Dictionary of Hungarian Synonyms. On the website you can look words up in the glossaries of different dictionaries at the same time. This is the most important encyclopedia of English speech area. Britannica Academic Edition is for higher education institution. It provides a reliable basic research for higher education students. Cambridge University Press is the academic publisher of one of the leading universities in the world. The full-texted multidisciplinar journal-database is outstanding in the fields of humanities and social sciences in particular but natural science and engineering are also represented. More than 300 scientific journals provide the full text of altogether 1 million studies. The NKE subscriber’s package consists: Academic Search Complete, eBook Academic Subscription Collection, Az ERIC (The Educational Resource Information Center), GreenFILE, International Security & Counter Terrorism Reference Center, Legal Source, Library, Information Science & Technology Abstracts, MEDLINE. Academic Search Complete is the leading source of scientific researches. On the unitary website a database is available that computes a lot of different topics. At the EBSCO multidisciplinar database scientific articles of more than 9500 journals can be reached, ususally even with the latest issues. The Faculty of International and European Studies has organised this year for the second time the Visegrad Summer School discussing topics related to V4 and EU. The Global Minority Rights Summer School has been held at the national university of Public Service since 2013. The latest edition of this unique international forum saw 30 participants discuss the most pressing minorty issues. On 20 June 2018, the Faculty of International and European Studies at the National University of Public Service organised the closing workshop of the three years long (2015-2018) Modul for European Public Policy project. Prof. Alexander Y. Livhsin, Associate Dean for International Cooperation, School of Public Administration, Moscow State University arrived at the National University of Public Service within the Erasmus+ International Credit Mobility program.